In her speech just under 12 months ago. 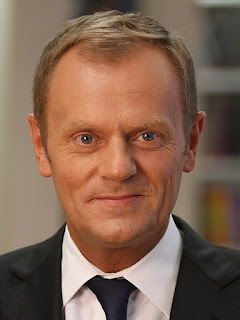 the Prime Minister set out her objectives for negotiating our withdrawal from the European Union (see the Rt. Hon. Theresa May MP The government's negotiating objectives for exiting the EU: PM speech 17 Jan 2017 PM's Office). Because we will not have truly left the European Union if we are not in control of our own laws." As I said before in this blog, this was a potential deal breaker (see articles in this blog (see Dispute Resolution: A Potential Deal Breaker? 8 Aug 2017, Has Mrs May done enough to break the Logjam? 24 Sep 2017, Fourth Round of Brexit Talks: Still a Logjam 28 Sep 2017 and Brexit Briefing - September 2017 3 Oct 2017). "This Part of the Agreement establishes rights for citizens following on from those established in Union law during the UK’s membership of the European Union; the CJEU is the ultimate arbiter of the interpretation of Union law. In the context of the application or interpretation of those rights, UK courts shall therefore have due regard to relevant decisions of the CJEU after the specified date. The Agreement should also establish a mechanism enabling UK courts or tribunals to decide, having had due regard to whether relevant case-law exists, to ask the CJEU questions of interpretation of those rights where they consider that a CJEU ruling on the question is necessary for the UK court or tribunal to be able to give judgment in a case before it. This mechanism should be available for UK courts or tribunals for litigation brought within 8 years from the date of application of the citizens' rights Part." "Mr Speaker, when we leave the European Union our laws will be made and enforced here in Britain not in Luxembourg. So the EU has accepted that we will incorporate the Withdrawal Agreement into UK law. And citizens’ rights will then be enforced by our courts - where appropriate, paying due regard to relevant ECJ case law, just as they already decide other matters with reference to international law when it’s relevant. In the interests of consistent interpretation of citizens’ rights, we have agreed that where existing law is not clear, our courts – and only our courts – will be able to choose to ask the ECJ for an interpretation prior to reaching their own decision. But this will be a very narrow remit and a very small number of cases. And unlike now, they will not be obliged to do so. This will be voluntary. The case itself will always be determined by the UK courts, not the ECJ. And there will also be a sunset clause so, after eight years, even this voluntary mechanism will end." This is, of course, a very sensible concession and I commend the Prime Minister for making it. But a climb down is still a climb down. As most readers of this blog already know, the British and European negotiators reached sufficient consensus on the first phase of the Brexit negotiations for the Commission to recommend to the Council to allow the negotiations to proceed to the second phase (see the Joint report from the negotiators of the European Union and the United Kingdom Government on progress during phase 1 of negotiations under Article 50 TEU on the United Kingdom's orderly withdrawal from the European Union 8 Dec 2017 and the Communication from the Commission to the European Council on the state of progress of the negotiations with the United Kingdom under Article 50 of the Treaty on European Union 8 Dec 2017). Because those events took place yesterday I will discuss them properly in my December Brexit Briefing. All I will say now is that money was not the sticking point that many (though not I) thought it would be and that in the end the British government had to give ground on a continued role for the Court of Justice of the European Union as I had said it might in previous articles in this blog (see Dispute Resolution: A Potential Deal Breaker? 8 Aug 2017, Has Mrs May done enough to break the Logjam? 24 Sep 2017, Fourth Round of Brexit Talks: Still a Logjam 28 Sep 2017 and Brexit Briefing - September 2017 3 Oct 2017). Because of yesterday's agreement, other important events that took place in November have been overlooked. 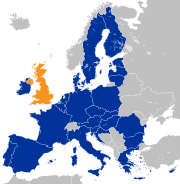 Two of the saddest were the Relocation of the UK-based EU agencies 20 Nov 2017 and the termination of the selection process for the European Capital of Culture in the UK (see Jane Lambert European Capital of Culture 28 Nov 2017 NIPC Bexit). The European Medicines Agency will move from London to Amsterdam (see the press release European Medicines Agency to be relocated to Amsterdam, the Netherlands 20 Nov 2017) and the European Banking Authority to Paris (see press release European Banking Authority to be relocated to Paris, France 20 Nov 2017). A letter from Martine Reicharts, Director-General for Education, Youth, Sport and Culture to Sue Owen, our Permanent Secretary for Department for Culture, Media and Sport, brought the selection of the British city for the 2023 European Capital of Culture to a grinding halt just days before the final choice was due to be made in London, The letter generated a lot of resentment upon which some politicians and newspapers sought to capitalize but the legislation setting out the selection procedure is very clear. It is just a shame that cities across the country had been given false hope and allowed to spend so much of their council taxpayers' money on what was clearly an impossible objective. However, it would be even more of a shame if something were not salvaged from that effort by at least an unofficial celebration of those cities' contribution to European culture. I can see very much the same thing happening to the British government's investment in fitting out premises for the Central Division of the Court of First Instance of the Unified Patent Court in Aldgate House (see press release Intellectual Property Minister hosts reception at Aldgate Tower 18 Sept 2015). Although Jo Johnson MP, the Minister for Intellectual Property, has argued that the UPC Agreement is a free standing international agreement that stands outside the EU Treaties, it is hard to see how the UK could remain a party to that agreement after Brexit. Even if it could, it would be equally hard to reconcile participation in the Court with Mrs May's rejection of the jurisdiction of the Court of Justice of the European Union even if she has made an exception for citizens' rights. Again rather sad in view of a report by the London School of Economics and the University of Colorado at Boulder which anticipated an increase trade and foreign direct investment in high-tech sectors by up to 2% and 15% in the EU as a result of the unitary patent, leading to annual gains of €14.6 billion in trade and €1.8 billion in foreign direct investment (see Patents, trade and foreign direct investment in the European Union Nov 2017 European Patent Office). Also on the subject of intellectual property, the European Intellectual Property Office has published a Notice to holders of and applicants for EU trade marks and registered Community designs on the consequences of Brexit if no agreement is reached in respect of EU trade marks and Community designs in the UK. 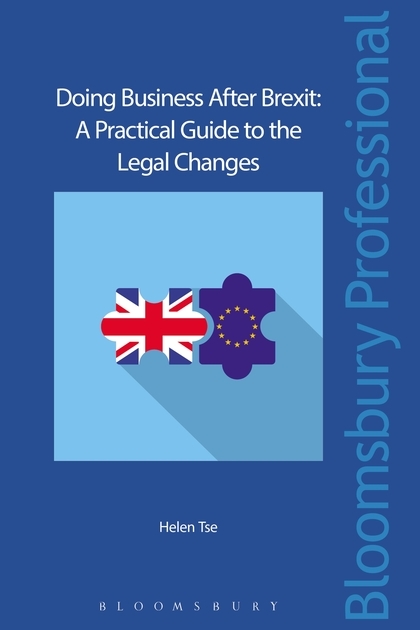 The Notice does not take account of the government's intention to incorporate EU legislation into national law through the European Union (Withdrawal) Bill which should preserve the rights of EU trade mark and Community design proprietors in the UK after the 29 March 2019. However other rights are bound to go including the rights of representation that British lawyers and attorneys currently enjoy. One of the arguments for Brexit during the referendum campaign was the possibility that the United Kingdom will be free to make trade agreements on its own terms with foreign governments. An early indication of the terms upon which such agreements might be made available to us came in the speech of Mr Wilbur Ross, the American Commerce Secretary to the CBI (see #CBI2017 Blog: Wilbur Ross speaks at the CBI Annual Conference 4 Nov 2017 CBI Blog). He warned Britain to avoid signing up to “hindrances” to trade in its Brexit negotiations and that a deal with the US will require lower tariffs and compromises in areas such as food regulation. As I noted in Between Scylla and Charybdis 10 Nov 2017 NIPC Brexit, Mr Ross's speech was picked up by Monsieur Michel Garnier who expressed concern. In that article I concluded that "we can have a preferential trade deal with Trump's America on Mr Ross's terms or a preferential one with our EU partners but not both. A growing fear for British businesses must be that we may well end up with neither." Should anyone wish to discuss this article or Brexit in general, he or she should call me on +44 (0)20 7404 5252 during normal office hours or send me a message through my contact form.